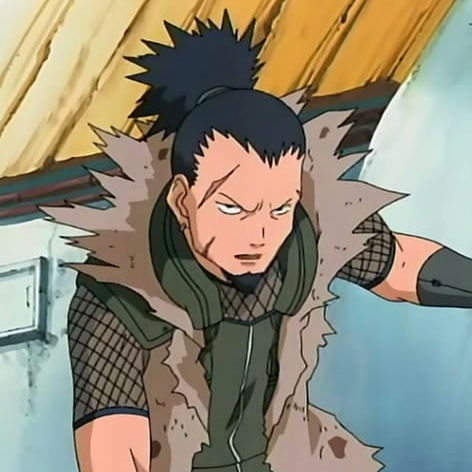 Much like his father Shikamaru, he is lazy,but a genius, he find anyway to get out of any physical workout. He thinks out battle situations all the way 5 to 6 times before making them, but does this in a matter of minutes. The ability to control, shadows. Also starting with him the Nara clan have a "pet" a bird that resides in a transformation form inside the hosts body that will help during fights by stealing chakra or battling. The basic shadow jutsus that Shikamaru uses with shadows such as Shadow possesion. Description: A portal opens infront of fleeing target trapping them in shadow possesion. Description: When cut by an infected kunai Chakra is drained and given to the attacker. Description: A huge rasengan that does massive damage to the target, but also hurts the user. Description: The attacked area is left immobile for 10 to 20 seconds, when upgraded it is for a full minute. Description: Shikaku uses this on his bird to make it ridable. Description: You all know what this is. 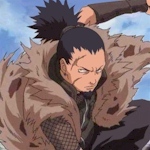 Shikaku carries many kunai and shurikans in odd places for tactical reasons, and also carries charms which he can activate for about a second of defense. Shikaku was born and his mother died, Shikamaru raised his new son and named him after his father Shikaku. Since he could walk Shikamaru instilled the idea of not training, Shikamaru raised Shikaku how he wished he was raised, carefree. Now Shikaku is well reknown, but had failed the Chuunin exams twice for lack of effort. He finally passed his exam and has risen to a Jounin that teaches his own group of Genin, he is well liked and one of the strongest Ninjas in Konahagakure village. Shikaku has trained extensively in Rasengan, and has mastered them well, he uses them frequently, when his intents are to win, hands down. Shikaku was a Genin until he was 14, he then finally passed his exams, he was then a Chuunin, however the Hokage felt he was much to powerful for that, after being a Chuunin for two and a half weeks they promoted him to a Jounin at age 14.